We are very pleased to announce that Heatlink Services have joined forces with Biomass Norfolk. We can now advise, supply and install Biomass and other renewable heating systems. For properties that are off the mains gas network, renewable heating systems are becoming more popular, offering a direct alternative oil and electric storage heating. Biomass is the term which describes fuel produced from wood and other organic matter. Levels of carbon emissions from biomass are equal to what has been absorbed over the time the plant was growing. Therefore, as long as new plants continue to grow, replacing those used for fuel production, the process becomes sustainable. This makes biomass a carbon neutral fuel and a renewable energy source under EU an UN legal frameworks. People have been using biomass for centuries. However, the technology has evolved far beyond generating heat from an open fire. 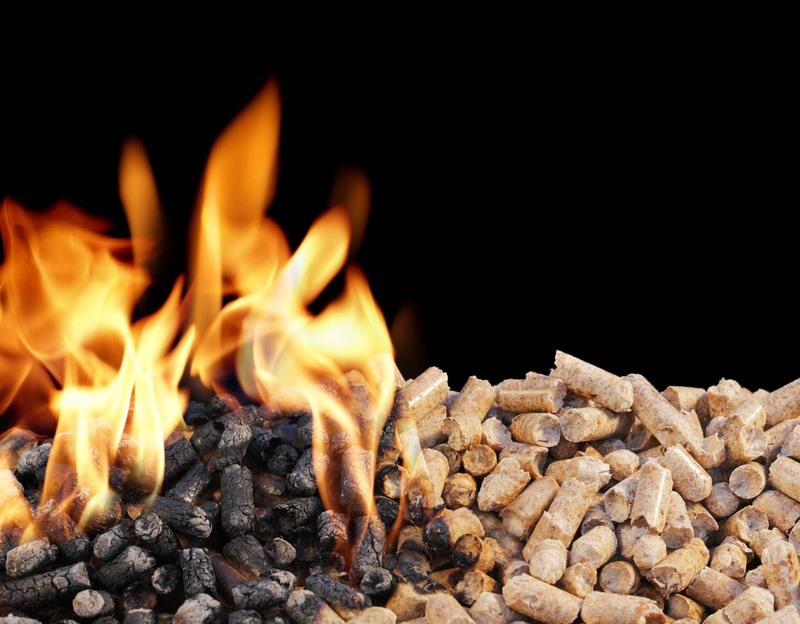 Although biomass can power a wood-burning stove to heat a single room, it can also power much larger central heating and hot water systems required for commercial properties, community centres and schools. Theses days, biomass boilers are fully automatic, much more like traditional oil or gas boilers. They run at a much higher temperature compared to other renewable heating options which makes them compatible with many types of heating systems. The boilers are more efficient because they regulate the amount fuel required to run the burner. Significant cost savings compared to traditional energy, such as electricity and oil and comparable in price with natural gas. The cost of biomass is more stable than traditional fuels, so you can budget your energy bills more effectively. Biomass is more environmentally friendly as it’s from a sustainable source. Production can also lead to improved woodland management. Property owners can source fuel locally, reducing the carbon footprint of supply. However, before installing a Biomass boiler consider whether you have access to a reliable wood supply and sufficient storage space. The RHI is a government scheme launched on 9th April 2014. Aimed at properties off mains gas supply, to encourage installation of renewable heat technologies. However, properties with mains gas can still apply. The scheme provides financial support for 7 years after installation. The UK Government expects the RHI to contribute towards the 2020 ambition of 12% of heating coming from renewable sources. Solar thermal panels (flat plate or evacuated tube only) providing hot water for your home. Important changes to the domestic RHI scheme came into effect on 20 September 2017. For more information about the RHI scheme, visit the Energy Saving Trust. To discuss whether or not a Biomass Heating System is right for you, call Heatlink Services on 01502 442838 for more information.